Big thanks to Ralff for joining us this week!! 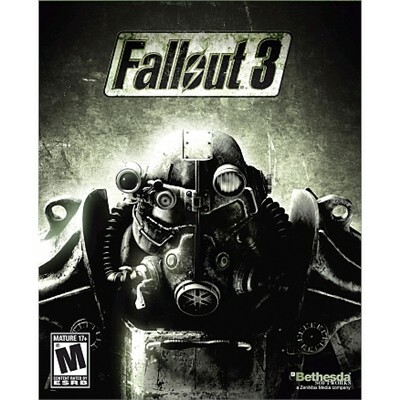 In this week’s episode we are discussing Fallout 3, Shank, StarCraft 2, Puzzle Quest 2 & the new DLC for Red Dead Redemption. Shank – Nicole: Download Demo (warning the game is very mature) You can also get the full game soundtrack for FREE! Plain Sight is only $2 till today! From TechCrunch – Could Angry Birds be getting a line of toys and possibly a movie? We hope so!! The 2nd season of Ultimate Gamer is out on SyFy. You can find the 1st & 2nd season on Hulu & YouTube. From Wired.com a judge allows gamer to sue for MMO addiction. 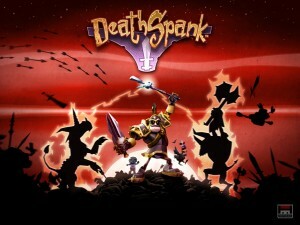 New DLC for DeathSpank was announced called Thongs of Virtue coming out Sept 22 & 23, 2010. We discussed a new documentary called “The Raid” a few episode back and it looks like it’s ready for screening. In fact, “The Raid” will be hosting a pre-screening event on October 23rd after the closing of Blizzcon and we (and a few others :) have your tickets to the event! So if you are 21+ years old & going to be at Blizzcon or LA area and would like to attend the screening, all you have to do is answer what video game the music we played at the end of episode 25. Send us an email at contest @ ladiesofleet.com with the answer. We will pick the winners randomly from the people who entered & secure your place to this awesome event! Nicole, Kim & Stephanie will be giving out LoL stickers (thanks StickyLife!) at DragonCon in September, but if you can’t make it, you can also buy them at Nicole & Marc’s store they set up for their other site The Wood Whisperer. Check out StickyLife if you are looking to get your very own awesome stickers made. Use the discount code LADIESOFLEET and you will get 25% off your entire order! Give us a call on our voicemail line at 623-252-4263 or send us a mp3! Trailer for Deathspank: Thongs of Virtue!